All pre-workouts are not born equal. 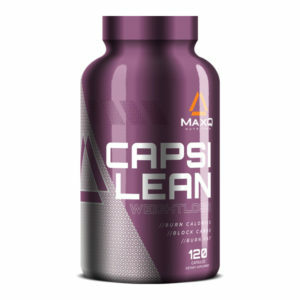 Some provide a little energy, some provide the kick you need to build mass, some help you lose it. But what you need is energy. Boundless energy. 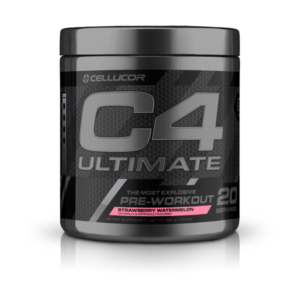 Your intensity comes after an extreme jolt, so we’ve added the most stimulating, caffeine-loaded pre-workout supplement to our C4 ID Series. 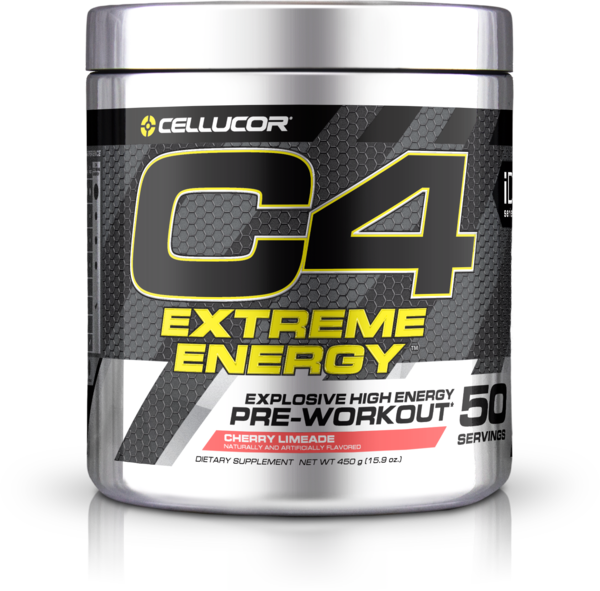 C4 Extreme Energy is made for your passion, steady drive and unbroken commitment to your workouts. C4 Extreme Energy is the next step for those who want that extra rush. 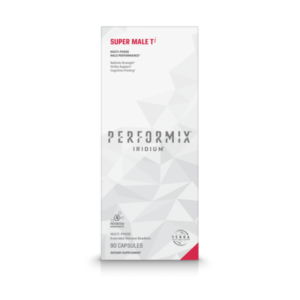 Its formula features twice as much caffeine, more focus and more endurance than C4 Original. 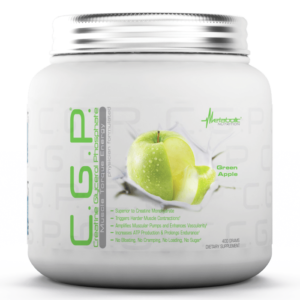 C4 Extreme Energy isn’t for the casual gym goer; it’s for those of you who want to explode through their PRs over and over and over again. 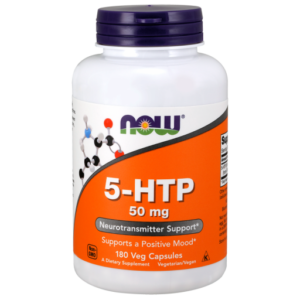 We know that for some, just a little bit of energy isn’t enough. 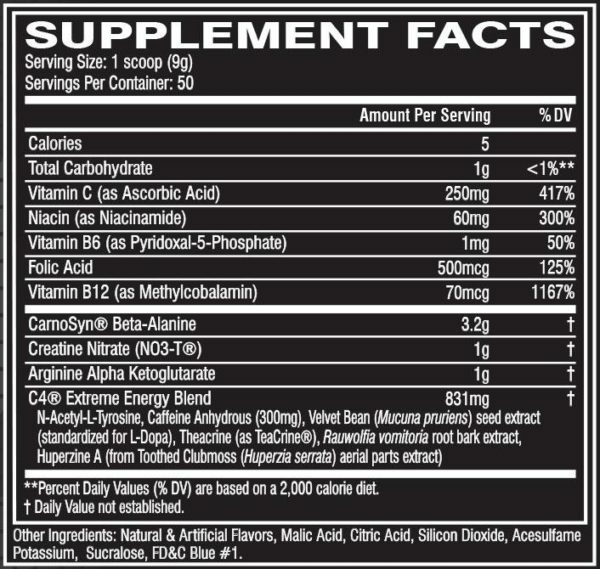 C4 Extreme Energy is here to help you get up and go, rising to any challenge. 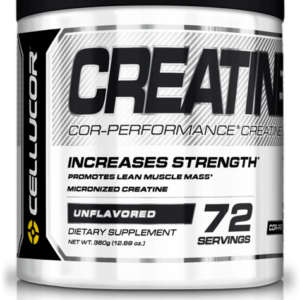 Take one serving (1 scoop) of C4® Extreme Energy, mixed with 6-8 fl. oz. of water 20-30 minutes before training. 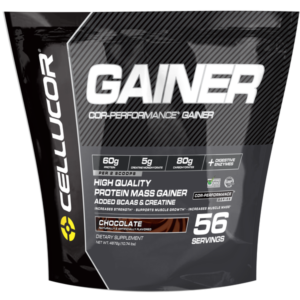 During your workout, it is recommended that you drink plenty of water or performance beverage such as Cellucor® Alpha Amino to stay hydrated. 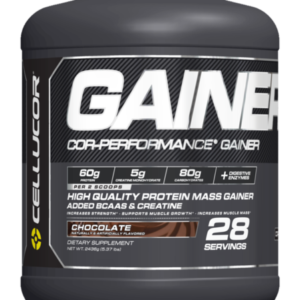 Some individuals experience a harmless tingling sensation, which is attributable to beta alanine. USE ONLY AS DIRECTED.